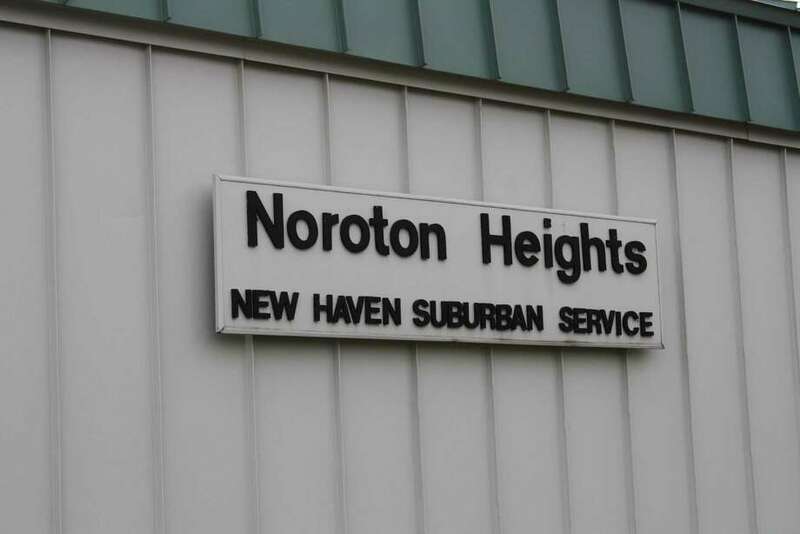 The BOS approved $45,000 to make repairs to the staircases and sidewalks at the Noroton Train Station. DARIEN — The stop lights are out of sync, the pedestrian crosswalks are ineffective and there isn’t enough computer parking. These are a few of the problems with transportation in the area surrounding the Noroton Heights Train Station, as identified at a public information session in the Mather Center to share initial findings from a study of the area backed by the Western Connecticut Council of Government (WestCOG). “Tonight’s an exercise in better understanding transportation, mobility, ways to get from here to there and make the redevelopment area better for us all and work more efficiently,” said Planning and Zoning Director Jeremy Ginsberg at the May 11 meeting. Ginsberg welcomed a team of transportation consultants who had conducted a series of studies of the area, including Transportation Planner Gregory Del Rio, of Norwalk-based NV5, Economic and Real Estate Consultant Todd Poole from New York-based 4Ward Planning and Transportation Planner Michael Ahillen of Hartford-based Fitzgerald and Holiday. The consultants identified sustainable mobility, the addressing existing deficiencies and assessment of future demands, especially given the Federal Realty and Palmer redevelopments expected shortly in the area, as priorities. “Some of the ideas can be implemented right away, some of the ideas are a little bit longer-term,” Del Rio said. One of the more short term ideas, according to Del Rio, was to look at the stop lights in the area, which are currently set at varying time intervals, to find intervals more conducive to smooth traffic flow and that might break up some of the bottle necking that goes on in the area. In addition, Poole’s research, which looked at the demographics of the area directly surrounding the train station as well as market trends in investment, found roughly 3,400 people within a half mile of Noroton Heights at a median age of 38. The median household income was roughly $170,000 in 2017, as compared with $86,000 median household income for the county. Still, despite the area’s affluence, and despite its relatively high number of owner-occupied houses, Poole noted that there is a growing trend nationally toward smaller, rented units, either for young people unable to buy, or emptynesters looking to downsize. Units of the kind proposed by Federal Realty and Palmers, are examples and tend to attract tenants more heavily reliant on public transport and convenient nearby retail and services. Accommodating those likely future residents is one reason in which increasing pedestrian friendliness -- by more clearly marking crosswalks, moving those crosswalks to more convenient areas, and completing a system of sidewalks leading to the train station -- is a top priority. Parking, too, can be addressed by better utilizing the space already available, especially once new developments are built, and increasing the number of permit spaces available, as Del Rio found in a commuter survey, many parking in day rates are using the train station every day of the week. “We don’t want to overbuild parking because there is a lot of opportunity to do shared parking,” Del Rio said. Restaurants potentially coming to the area with the new development, for example, could use train station parking for their late night customers, when train ridership is low. According to Ginsberg, the study will continue throughout the remainder of the year and possibly into January. “We’ll develop improvement strategies from what we’ve identified so far, from what we hear tonight, consolidate, filter and analyze it and come up with the recommendations, and then the final report,” Del Rio said. The town and its consultants are also in the process of creating a website to which updates can be posted.